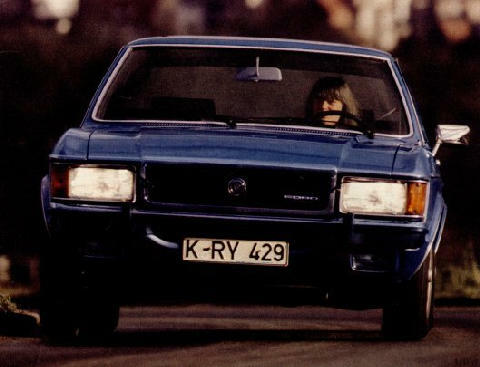 The second generation Granada arrived in 1977, the Mk II. 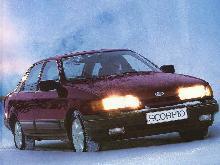 The new Granada had revised styling which looked very "Germanic" and upmarket. As before with the Mk I, both saloon and estate versions were available, along with a comprehensive choice of Petrol and Diesel engines. A 2.8 injection version with spoilers and matt black trim added some sporting flair to the range which included L, LX (on later cars), GL, Ghia and a luxury Ghia X model. A special heavy duty "Taxi" model was also offered and proved popular with private hire firms. The Mk II range sold well until it was replaced in 1986 by the Granada Mk III.